Alhamdulillah (All praises be to Allah), Allah ‘Azza wa Jal’s Greatness and Rahmah and Mercy, and always a reminder that through the grace of God is that we find ourself in existence. That all the salawat, all the nasheeds, all the praisings, always is a reminder that to live a life in which we attempt to be nothing, to constantly efface and bring down the bad characteristics, and to reach towards Allah’s satisfaction, which is the love of Sayyiduna Muhammad sallallahu alayhi wa sallam. When Allah ‘Azza wa Jal wants to dress the servant, means that when Allah ‘Azza wa Jal begin the calling unto the soul, and the soul [says], ‘Labbaik Allahumma labbaik [O My Lord, here I am at your service]. The soul hears the call and begin to move through every difficulty, through every barrier, through everything that this dunya will put as an obstacle. When Allah calls, the soul says, ‘Labbaik,’ it hears the call and it has to moves and begin to push through everything, whatever fear the body may have, whatever obstacles they put into the mind, into the hearts of people. 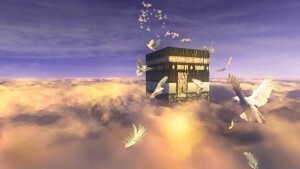 When Allah calls, the soul comes and begins moving towards that Divinely Presence. When that soul is feeling the love for Allah ‘Azza wa Jal, means that many souls are moving into that presence and finding guidance through whatever means Allah ‘Azza wa Jal wants to guide the souls. There are as many paths as the ways of the breath. Means whom Allah ‘Azza wa Jal wants to guide, how Allah ‘Azza wa Jal wants to guide is up to Allah ‘Azza wa Jal. And they are all coming; Allah ‘Azza wa Jal is bringing them. When Allah ‘Azza wa Jal wants to grant them a very high station, bring them into the oceans of tawhid (oneness) from Ahlul Kitaab, Ahlul Qur’an, all the religions that bring people to oneness, Allah ‘Azza wa Jal granting them the gift of La ilaha illAllah. 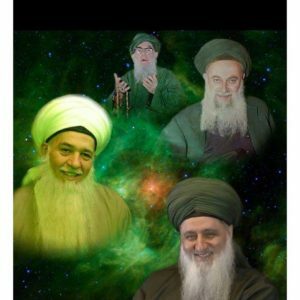 So they read their books, they believe in the Oneness of the Creator and Allah ‘Azza wa Jal calling them, “Come to My Oneness and I’m going to give you your paradises,” because Prophet sallallahu alayhi wa sallam describes that: the key to paradise is La ilaha illAllah (there is no God but Allah). 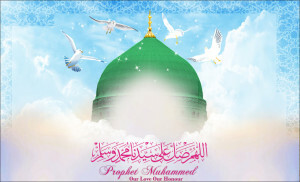 So means all the souls that coming to La ilaha illAllah entering into the paradises of the Divinely Presence. Then when Allah ‘Azza wa Jal want to bestow a tremendous darajat, a tremendous rank, a tremendous nobility upon that soul, Allah ‘Azza wa Jal will guide them to La ilaha illallah, Muhammadun Rasulullah sallallahu alayhi wa sallam [There is no God but Allah and Muhammad (pbuh) is the Messenger of Allah]. 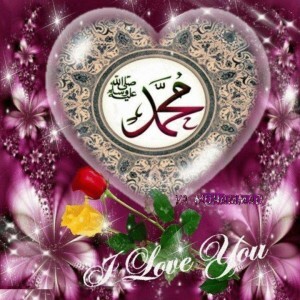 If we understand La ilaha illAllah and the gift of Muhammadun Rasulullah sallallahu alayhi wa sallam. Means then everybody is for paradise. So this is not about excluding people from paradise, but when Allah ‘Azza wa Jal, the Creator, wants to give a tremendous gift to the soul, says, “I want for you the highest of darajats, I want for you realities that you can’t imagine, loves that you can’t imagine, fragrances that you can’t imagine; come to the door of Muhammadun Rasulullah sallallahu alayhi wa sallam.” And the souls move into that reality, they are entering into the realities of Allah’s Love. It’s easy to love the shaykh, but to love who the shaykh loves, that is the test. It’s easy to love a family member, but to love whom you love is the test. We don’t understand that in the material world. We say, “I love you, I hate everybody else.” That’s not the reality. It is different than you seek Allah’s love. You seek Allah’s love, okay, great; all of creation (seeks that). Allah knows the creation and the secret within the soul, within your atoms, Allah knows it; it’s already attracted to His Divinely Presence, it’s given. How do you know when someone loves you, is they love whom you love. They respect whom you respect. They honour whom you love. That’s love. This is what Allah’s teaching for us: that’s love. And when Allah ‘Azza wa Jal brought what He loved in his presence, because he didn’t know his station, he doesn’t know the station of the light of Sayyidena Adam alayhi salaam; he is Nurul Muhammad sallallahu alayhi wa sallam. Everybody is behind a veil, not understanding that reality. That when that love becomes an arrogant love, cannot test it love, not a humble love, not a love through reflection; that you thought you reached something and your love is directly with the boss. How Could you Love the Shaykh, and be Rude to his Family and Followers? And Allah ‘Azza wa Jal said, “No, that love has an arrogance in it.” What’s the benefit in loving the shaykh but your bad to all of the shaykh’s representatives? What’s the benefit of loving someone and you are bad to their children? What’s the benefit of loving the shaykh and you’re bad to the students? And didn’t know the secret of the light of Sayyidena Adam is the light of Sayyiduna Muhammad sallallahu alayhi wa sallam, the best of creation, the light of that is in this reality; and shaytaan didn’t bow. He didn’t keep his ihtiram and his respect. It means it’s not a direct love. It’s not a love in which we call out, “We love Allah ‘Azza wa Jal, we love Allah ‘Azza wa Jal.” Allah ‘Azza wa Jal saying, “I’m going to test that love. I heard you. You love Me, love My Most Beloved, Most Beloved. The whole story of life, the whole story of all this creation, from the malakut and the unseen world of light to the known world and form and all its infinite universes; as many as come into existence, they are all in yusalloona (praising). Because it is from the oceans of Sayyidena Muhammad sallallahu alayhi wa sallam. 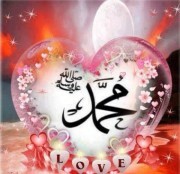 Everything within that creation is a praise upon Sayyiduna Muhammad sallallahu alayhi wa sallam. Subhana rabbika rabbal ‘izzati ‘amma yasifoon, wa salaamun ‘alal mursaleen, walhamdulillahi rabbil ‘aalameen. Bi sirri Muhammad al-Mustafa wa bi sirri surat al-Fatiha.